After losing the company he built, Lucious announces he will stop at nothing to regain his power, but Cookie has her own way of handling things. Meanwhile, Rhonda, Andre and the rest of the Lyon family come to terms with a horrific, life-changing tragedy that changes their lives as they know it. Don’t miss the aftermath unfold in the all-new “Death Will Have His Day” Spring Premiere episode of EMPIRE on Wednesday, March 30th on FOX. DC's Legends of Tomorrow returns with all-new episodes Thursday March 31st on The CW. Once Upon a Time 5x15 "The Brothers Jones" - Finally reunited, Hook and Emma must find a way to defeat Hades so that they can return to Storybrooke with Snow, David, Regina, Robin, Henry and Gold. A surprise visit from Hook’s departed brother Liam just might provide the lead they were looking for—others who have tried to overthrow Hades spoke of a book that contained the key to his downfall. Tired of watching from the sidelines, Henry secretly takes matters into his own hands while the others search for the book. Meanwhile, Hades redoubles his efforts to trap the heroes in the Underworld by playing them against one another. In flashbacks, the bond between the two young Jones brothers is tested and strengthened on a merchant ship heading into a dangerous storm, on “Once Upon a Time,” Sunday, March 27th on ABC. The Catch 1x02 "The Real Killer" - Alice and the team take on a very public client, a husband who was wrongly imprisoned for murdering his wife. Alice, however, is distracted with a mission of her own: track down Ben and figure out his next move. Meanwhile, Ben, Margot and Reggie are in desperate need of cash since Alice foiled their last plan, and the three con artists set their sights on a new target, on “The Catch,” Thursday, March 31st on ABC. Supernatural 11x17 "Red Meat" - Sam (Jared Padalecki) and Dean (Jensen Ackles) battle a pair of werewolves who have captured two victims. Just as the brothers are about to win, one of the werewolves shoots Sam. Dean gets his brother and the victims out of the house but learns a pack of werewolves are hot on their tail, hoping to kill them all. Nina Lopez-Corrado directed the episode written by Robert Berens & Andrew Dabb (#1117). Original airdate 3/30/16. Arrow 4x17 "Beacon of Hope" - Brie Larvan (guest star Emily Kinney) breaks out of jail and turns up at Palmer Tech threatening to kill everyone unless she gets the bio-chip that is implanted in Felicity’s (Emily Bett Rickards) spine. When Oliver (Stephen Amell) realizes that Felicity, Thea (Willa Holland) and Donna (guest star Charlotte Ross) are trapped in Palmer Tech with everyone else, he looks to a surprising ally to help Team Arrow save the day. Michael Schultz directed the episode written by Ben Sokolowski & Brian Ford Sullivan (#417). Original airdate 3/30/16. The Catch 1x01 "Pilot" - Alice (Mireille Enos) tells her office that Christopher asked her to elope. Everyone tells her to go back home and elope with him. Unfortunately, Alice doesn't know Christopher has already moved on to his next con. Second Chance 1x11 "Gelassenheit" (Finale) - Pritchard and Duval race against the clock to save Gracie from Connor (guest star Adan Canto) and Otto's life-threatening experiment. But time is quickly running out for Pritchard, as well, since there is no tank in which he can regenerate. Meanwhile, Mary, with the help of Alexa, does everything she can to try and unlock the code to save Pritchard's life before it's too late, and Otto wrestles with his conscience and the decisions he's made that have changed lives forever in the all-new 'Gelassenheit' season finale episode of SECOND CHANCE airing Friday, March 25th on FOX. Marvel's Agents of SHIELD 3x13 "Parting Shot" Sneak Peek - Bobbi and Hunter come up to a power plant that Malick has taken over. Coulson agrees to send in back-up but tells them they do not have the go-ahead to take out Malick. The Americans 4x02 "Pastor Tim" - Philip tries with increasing desperation to get rid of a sensitive and dangerous package as family tensions in the Jennings House reach a boiling point when Paige shares a secret of her own. Written by Joel Fields & Joe Weisberg; directed by Chris Long. Jane The Virgin 2x15 "Chapter Thirty-Seven" - Rafael (Justin Baldoni) and Petra (Yael Grobglas) are new parents but Petra is already back to work and appears to be not interested in motherhood. Xo (Andrea Navedo) has invited Alba's (Ivonne Coll) old flame Pablo (guest star Marcelo Tubert) to visit. This does not sit well with Alba as she believes Pablo is cursed and will bring bad luck. Jane (Gina Rodriguez) is growing concerned that she can't get in touch with her father, Rogelio (Jaime Camil), who is being held captive by Lola (guest star Ana De la Reguera). Brett Dier also stars. Melanie Mayron directed the episode written by Sarah Goldfinger. (#215). Original airdate 3/21/2016. 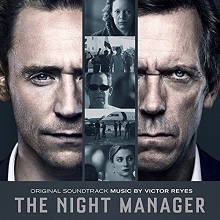 The Night Manager (Original Television Soundtrack) is out on Audio CD on the 1st April, and to celebrate we have a great competition for you and 3 copies on CD to give away! 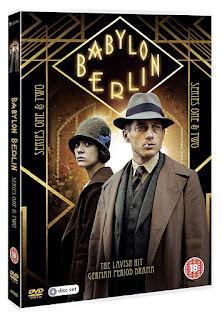 A contemporary interpretation of John le Carr's espionage drama - and the first television adaptation of a le Carr novel in more than 20 years. The Night Manager brings together love, loss and revenge in a complex story of modern criminality. Starring Tom Hiddleston, Olivia Colman and Hugh Laurie and with a massive $30m budget, the series is the priciest drama per episode of any commissioned by a UK broadcaster. Composer Victor Reyes is a major talent from the world of Spanish film and television. In recent years he has enjoyed international success with scores for Buried, Red Lights and Grand Piano. The latter, a taut thriller starring Elijah Wood and John Cusack includes an original piano concerto written by the composer which is integral to the plot of the film and has received high praise from music critics. In 2003 he was nominated for a Goya Award (the Spanish equivalent of the Academy Award) for his work on The City With No Limits, again in 2008 for The Contestant, and in 2011 with the internationally acclaimed Buried. 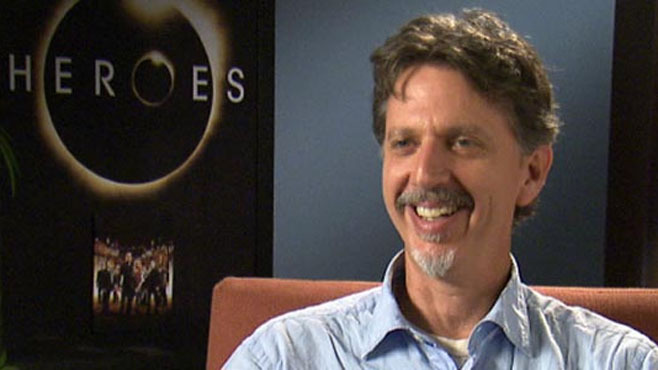 Reyes also earned the 2002 Cinema Writers Circle Award (CEC) for The City With No Limits. Buried was nominated for Best Action/Thriller Composition by the International Film Music Critics Association in 2011. The Flash 2x16 "Trajectory" - A new speedster has everyone distracted in a new episode of The Flash, returning Tuesday March 22nd on The CW! Like millions of millennials, Mike (Patrick Warburton) and Martina's (Carrie Preston) two daughters (Miranda Cosgrove and Mia Serafino) move back home after college and they all have to deal with the new reality. Stacy Keach and Carlease Burke also star. Premieres March 20th on NBC. iZombie 2x15 "He Blinded Me With Science" - New faces, new looks. iZombie Season 2 returns with all-new episodes Tuesday March 22nd on The CW. Sleepy Hollow 3x15 "Incommunicado" - After a supernatural event takes the Witnesses by surprise, both Crane and Abbie are forced to work alongside their most hated foes yet. Meanwhile, Jenny and Joe struggle to salvage their relationship, as they continue to battle their own internal demons in the all-new “Incommunicado” episode of SLEEPY HOLLOW airing Friday, March 18th on FOX. Dynamo and UKTV are joining forces to broadcast live the world's biggest magic show, Dynamo - Live at The 02, in a special one-off television event. After selling out over 100 dates for his debut live arena tour, Dynamo will become the first magician in history to headline The O2 to an assembled audience of around 10,000 with his critically acclaimed show, Seeing Is Believing. And in another world first, the whole show will be broadcast LIVE on UKTV's new premium entertainment channel, W on Wednesday 30 March at 7.30pm. Shrouded in secrecy, the show is the culmination of over 10 years work and has attracted audiences of over 400,000 people across 100 dates since its inception last October. I've been overwhelmed with all the amazing support from fans I've had as I've toured the length and breadth of the country. Now I want to make sure that those who couldn't get tickets can still enjoy the show and hope that those who've been to see me will want to relive it again on W.
I'm delighted to be continuing our relationship with Dynamo by broadcasting this stage show like no other. After four brilliant series of his BAFTA-nominated show Magician Impossible, we've missed him! Now viewers will get to share, live, in what he's been up to, seeing for themselves the extraordinary achievement behind Dynamo Live. Dynamo's show is the hottest ticket in town and I'm delighted we'll be bringing our viewers on W this unique broadcast event. It's a fantastic show combining expert story-telling with knock-out magic. The audience will include many of Dynamo's celebrity friends who are grabbing the opportunity to see one of his last live performances in the UK tour. 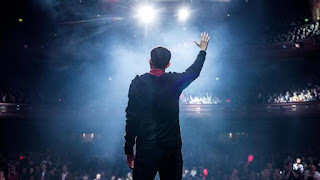 Dynamo's genre-bending mix of mind-blowing illusions, incredible sleight of hand and innovative street magic has wowed audiences worldwide since he first broke through with his global smash hit UKTV show Dynamo: Magician Impossible. Dynamo - Live at The O2 is produced by Inner Circle Films and Phil McIntyre Television. Executive producers are Dan Albion (Inner Circle Films) and Lucy Ansbro (Phil McIntyre Television) with Richard Watsham and Helen Nightingale executive producing for UKTV. The one-off special is ordered by W general manger Steve North and commissioned by director of commissioning Richard Watsham. As a young upstart, Kring was one of the writers behind the much loved, deeply 80s Knight Rider. Kring may only have penned one episode of the series that brought us The Hoff and his talking car, KITT, but what an episode it was. ‘Voo Doo Knight’ saw the perfectly coiffed Michael Knight go up against a ring of art thieves who made use of a Voodoo Princess to will their hapless stooges into stealing artifacts without any knowledge of what they had done. And lo, Kring did dabble with the mystical at an early age. Many a young would-be horror fan spent the 1980s trawling the Radio Times for the minefield that was ITV’s late night schedules. The horror gems that lay buried between American football and regional filler ranged from Hammer Horror to borderline video nasties and the occasional obscure gem like Bay Cove. Starring Tim Matheson (famous for The West Wing and Animal House), Bay Cove followed a newlywed couple that a local coven tries to entice after their move into the eponymous Maine town. Mild horror it may have been, but that didn’t stop this horrorphile taping Kring’s early work on more than one occasion. The first Teen Wolf saw Michael J Fox, at the height of his powers, playing a lycanthropic high school basketball star to enormous success so a sequel shouldn’t have surprised anyone. Granted, Kring’s screenplay adhered to the old adage of not fixing things that weren’t broken so Jason Bateman (playing Fox’s cousin) got to retread a familiar groove but this is another of Kring’s early works that imbues a sense of fondness and familiarity. And let’s face it; this means Kring basically made Modern Family possible (if you squint a bit) so all the more power to the man! 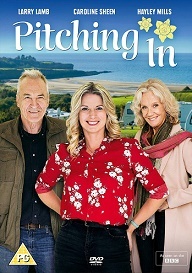 Kring was responsible for four episodes in total of the once hugely popular medical drama that made household names out of Mandy Patinkin and Hector Elizondo whilst also providing platforms for TV stalwarts like Adam Arkin, Mark Harmon and Peter Berg. The show was helmed by David E Kelley of Ally McBeal fame and ran for five years between 1995 and 2000, with Kring’s episodes (two teleplays and two stories) airing in the show’s second year. Crossing Jordan was the first show that Kring got to strap a ‘created by’ credit to, easing his feet under network tables with a procedural crime drama before unleashing the creativity that would ultimately deliver Heroes. With a cast that included Miguel Ferrer (AKA George Clooney’s cousin or the face of a thousand 80s and 90s bad guys), the series ostensibly followed a tenacious and feisty Boston medical examiner but it won fans for its supporting cast of family and friends who rooted the show in a familiarity other procedurals often overlook. Heroes – and indeed Heroes Reborn – followed a similar mould in focusing on ordinary people to whom extraordinary things happen. Kring returns to his beloved and most richly realized universe for this event series which picks up the story several years after Heroes, combining the fates of some familiar faces with those of a host of new ordinary Joes with extraordinary powers. However, instead of relying on the past, Heroes Reborn instead uses his returning cast as support for the new characters, creating a typically compelling mystery and sense of event along the way – one that only gets stronger as the series progresses. 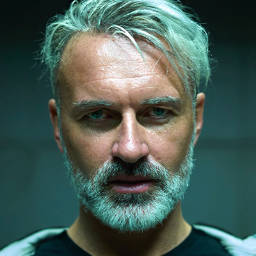 Second Chance 1x10 "Geworfenheit" - Pritchard and Duval continue to investigate who Albert Lin really is, who created him and try to uncover how he is involved in a string of murders. The investigation drives a wedge between Mary and Otto, and Otto must choose if he will betray Mary and undo everything they have built, including Pritchard to align himself with Connor Graff. Meanwhile, Gracie goes missing and Pritchard and Duval must race against the clock to rescue her before Pritchard’s time runs out in the all-new “Geworfenheit” episode of SECOND CHANCE airing Friday, March 18th on FOX. Arrow 4x16 "Broken Hearts" - All is fair in love and war when Arrow returns with all-new episodes starting Wednesday March 23rd on The CW. Colony 1x10 "Gateway" (Season Finale) - In the Season 1 finale, the Resistance kidnaps a high-value target; and the L.A. bloc is placed on lockdown. Good Behavior tells the story of Letty Dobesh (Michelle Dockery), a thief and con artist whose life is always one wrong turn, or one bad decision from implosion – which is exactly how she likes it. Fresh out of prison, Letty tries to stay afloat; reunite with her 10-year-old son, who is currently being raised by her mother Estelle (Strus); and regularly see her substance-abuse counselor, Christian (Kinney), whose motives for helping her are questionable. Chaos returns to Letty's life when she overhears a hitman (Botto) being hired to kill a man's wife, and sets out to derail the job. She soon finds herself on a collision course with the killer, entangling both of them in a dangerously captivating relationship. Grimm 5x13 "Silence of the Slams" - A local maskmaker is targeting Wesen to create Luchador masks that bestows great power to its wearer. As Nick (David Giuntoli), Hank (Russell Hornsby), Monroe (Silas Weir Mitchell) and Rosalee (Bree Turner) work to stop the killings, Capt. Renard (Sasha Roiz) considers an offer that will bring him closer to claiming his destiny. Meanwhile, Eve's (Bitsie Tulloch) further investigation of a recent incident raises new questions. Claire Coffee also stars. Marvel's Agents of SHIELD 3x12 "The Inside Man" - Coulson and General Talbot are forced to team up and attend a worldwide symposium on Inhumans, where they suspect Malick has an inside man. As the S.H.I.E.L.D. team gets closer to the truth, an unexpected traitor is revealed, on “Marvel’s Agents of S.H.I.E.L.D.,” Tuesday, March 15th on ABC. Blindspot 1x13 "Erase Weary Youth" - After a tip reveals there's a mole within the FBI's New York Office, the team must hunt for the operative while facing extreme scrutiny from Inspector Fischer (guest star John Hodgman). The team's deepest secrets threaten to be exposed, and everyone is a potential suspect - but some, especially Jane Doe (Jaimie Alexander) have more to hide. Also starring Sullivan Stapleton, Marianne Jean-Baptiste, Rob Brown, Audrey Esparza, Ashley Johnson and Ukweli Roach. Guest starring Jordana Spiro, Erinn Ruth, Trieste Kelly Dunn and Francois Arnaud. Gotham 2x14 "This Ball of Mud and Meanness" - Alfred and Selina help Bruce on his quest to find his parents’ killer, Matches Malone (guest star Michael Bowen). Meanwhile, Gordon follows up with Edward Nygma on Kristen Kringle’s whereabouts and Hugo Strange (guest star BD Wong) continues his treatment to reduce Penguin’s aggression in the all-new “Wrath of the Villains: This Ball of Mud and Meanness” episode of GOTHAM airing Monday, March 14th on FOX. Bruce Wayne knows who killed his parents, what's next? Stitchers 2x01 "2.0" - After Kirsten successfully brings Cameron back from the dead, she experiences an unexpected side effect: her temporal dysplasia is gone and she has real emotions for the first time since childhood. When a mystery involving Les Turner (Oded Fehr) forces the lab to go on lockdown placing a cloud of suspicion around Maggie, the team must find out what really happened, and fast. Kirsten’s latest stitch leads to a shocking discovery and an important memory involving her biological father. Meanwhile, Camille tries to cheer up an unhappy Fisher as he recovers from his wounds. Once Upon a Time 5x13 "Labor of Love" - To rescue a lost soul, a princess must summon the courage to confront the guardian of the underworld. Once Upon a Time is all-new next Sunday on ABC! From Shondaland’s Shonda Rhimes, Betsy Beers and Allan Heinberg, this thriller centers on the strong, successful Alice Vaughn. She is LA's top private investigator — and the one woman you don’t want to mess with. But when her fiance cons her out of millions and disappears, Alice goes on a private mission for payback. The Catch premieres Thursday March 24th on ABC. Of Kings and Prophets 1x02 "Let The Wicked Be Ashamed" - On the heels of Samuel’s prophecy and faced with angry reproach from his people, Saul confides his worries in David. In an attempt to protect his father’s position as king, Ishbaal hires an assassin to kill the prophet. Then, as the Philistine troops prepare for war, it becomes obvious that the Israelites are far outnumbered and out-armored. In efforts to unite the tribes of Israel, Ahinoam proposes a marriage between the daughter of Eitan, the Elder of Judah and her son Jonathan. Later on, Saul readies for battle after failing to make amends with King Achish at war council, but Achish remains unfazed for he has an army of thousands and an inside source spying in the house of Saul. Then, when an innocent young boy unknowingly outs Saul’s traitor, Saul makes an example of his family in a brutal public display. Feeling dismayed by the palace and caught in a bit of a love triangle, David decides to return to his life as a shepherd. However, upon returning home he is greeted by a surprise visitor who has news to share with David that will change his life forever, on “Of Kings and Prophets,” airing Tuesday, March 15th on ABC. DC's Legends of Tomorrow 1x08 "Night of the Hawk" - The team tracks Savage (guest star Casper Crump) to a small town in Oregon during the 1950s. Upon arrival, they discover there have been a recent string of murders and they suspect Savage is involved. Professor Stein (Victor Garber) and Sara (Caity Lotz) go undercover at a psychiatric hospital, where Savage is working as a doctor, to find out his plan. While there, Sara meets a nurse named Lindsay (guest star Ali Liebert) and sparks fly. Meanwhile, Ray (Brandon Routh) and Kendra (Ciara Renée) pretend to be a married couple to gain the neighborhood’s trust, but an interracial couple in the ‘50s isn’t something that goes unnoticed. Soon, Savage is at their door. Joe Dante directed the episode written by Sarah Nicole Jones & Cortney Norris (#108). Original airdate 3/10/2016. Lucifer 1x08 "Et Tu, Doctor?" 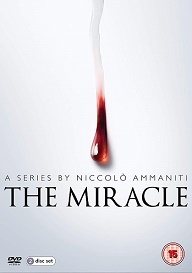 - When a therapist is murdered, Lucifer and Chloe enlist the help of Dr. Linda to look into possible suspects. Meanwhile, Malcolm confronts Chloe about the night he was shot, and Lucifer experiences his first bout of jealousy in the all-new “Et Tu, Doctor” episode of LUCIFER airing Monday, March 14th on FOX. Grimm 5x12 "Into the Schwarzwald" - Nick (David Giuntoli) and Monroe (Silas Weir Mitchell) find a treasure in Germany that has been hidden for centuries. Back in Portland, Capt. Renard (Sasha Roiz) joins Hank (Russell Hornsby) and Wu (Reggie Lee) to track down a deadly assassin who has thrown Portland into havoc. Little do they know that Eve (Bitsie Tulloch) is on a hunt of her own for the same man. Meanwhile, someone from Rosalee's (Bree Turner) past tracks her down. Claire Coffee also stars. Sleepy Hollow 3x14 "Into the Wild" - On an FBI team-building day, Abbie and Sophie come face to face with a monster that may finally blow their cover with Reynolds. Meanwhile, Jenny and Joe find themselves in possession of something precious and Crane discovers that the symbol from the Catacombs may be more important than he realized. Don’t miss the all-new “Into the Wild” episode of SLEEPY HOLLOW airing Friday, March 11th on FOX. The 100 3x08 "Terms and Conditions" - Kane (Henry Ian Cusick) is searching for a peaceful way to handle things but soon realizes he may be forced to resort to drastic measures. Meanwhile, Pike (guest star Michael Beach, “Sons of Anarchy”) suspects that there may be a leak within the walls of Arkadia. Lastly, Raven (Lindsey Morgan) has a plan and reaches out to Jasper (Devon Bostick) for help. Isaiah Washington, Bob Morley, Christopher Larkin and Ricky Whittle also star. John Showalter directed the episode written by Charlie Craig (#308). Original airdate 3/10/2016.